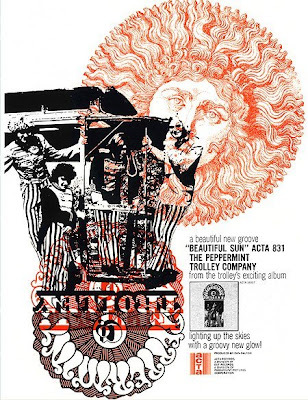 Gotta love that psychedelic music from the 60's, the strawberry alarm clock are one of my favourites. They featured in a film starring jack nicholson called "psych out" which I blogged about a few months back. Not too bad. I remember that version of the Brady Bunch too. I used to love the Brady Bunch when I was a kid, but I have not seen an episode in years. I was in my late teens when psychedelic music was popular so I've got a soft spot in my brain for the genre. These guys sound as good as any of the bans which made it. I hear a little bit of Moody Blues in their work. If only they'd gotten a mellotron they might have made it. I wonder how they got the Brady Bunch gig? 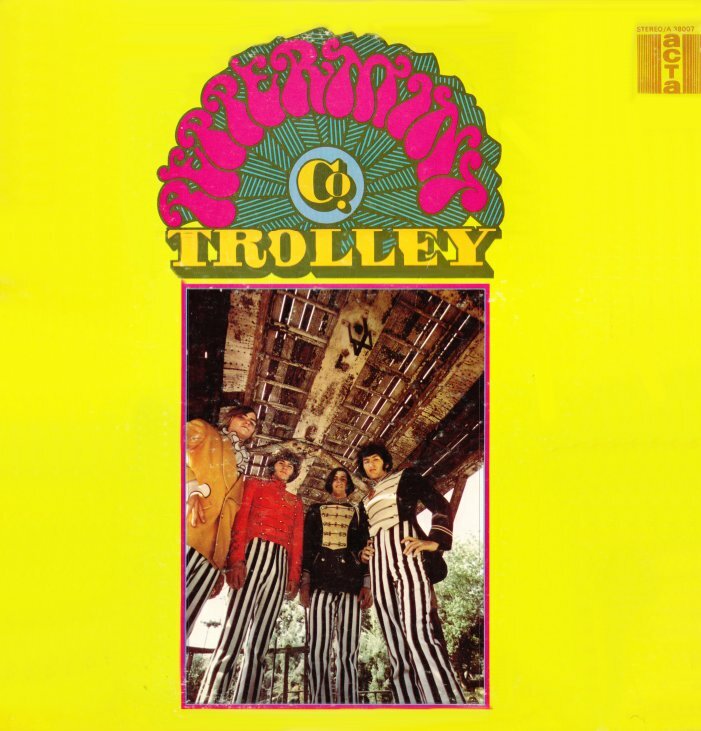 www.NowSounds.co.uk reissued the Peppermint Trolley Company album on CD with 15 bonus tracks. Saw the Brady Bunch: here is our version of "Keep on Dancin"
Things aren’t always what they seem, nor do match our notions. Contrary to the above comments, the guys who made up the Peppermint Trolley Company were “real” artists talking about “real” things. Listening to the songs, one would be hard pressed to find a line about “Popsicle Mountains”. In fact, one of the album cuts, “Fatal Fallacy” is a hard hitting anti-war song, for which the band had to fight hard to have included in the album. “Free” was written after the Martin Luther King assassination, when city neighborhoods were smoldering. It cries out for the equality and dignity of all. And the PTC didn’t just talk the talk, they also walked the walk. They were involved in many demonstrations for the Peace and Freedom movements, putting their bodies on the line. As for the Brady Bunch Theme, It’s a minor footnote. It was a union gig, a way to make ends meet. It was rent money. At the time the band was living in a tiny house in Echo Park sans a refrigerator. Shortly thereafter, the members walked away from the Acta deal, changed their name to Bones, created a more rockin’ sound. and cut two albums. Danny and Jimmy Faragher went on to found The Faragher Brothers, the great blue-eyed soul band, which subsequently released four albums. To learn the real story of the Peppermint Trolley Company check out the Official Site of Danny Faragher. Danny...if you ever read this entry I'd like to thank you for The Peppermint Trolley's music. I've been diggin' the studio album and 45s since discovering the group in the late 80s. I bought the LP from a UK record dealer for £30. Quite a bit of money those days for something I'd not even heard before but I dug the description of the music the dealer offered and took a chance. Best £30 I've spent on an album. Since ebay entered our lives I've managed to track down all Peppermint Trolley 45s, even a four song European EP with a picture sleeve. Just wanted to let you know that a podcast of the LuxuriaMusic Radio interview I did with DJ, Steve Stanley, is posted on the website, for listening or downloading. Steve and I had a lot of fun, while filling in the history of the Peppermint Trolley Company, and conjuring up the Hollywood music scene of the late sixties. The vocal(s) used for the 1969-1970 season of Paramount's The Brady Bunch are by far the most spectacular. This album is fantastic. I've been looking for it for a long time and I've finally found a good copy. Here's a youtube video with each version of the credits. I had never noticed that the first season's credits were NOT sung by the children. Great post!